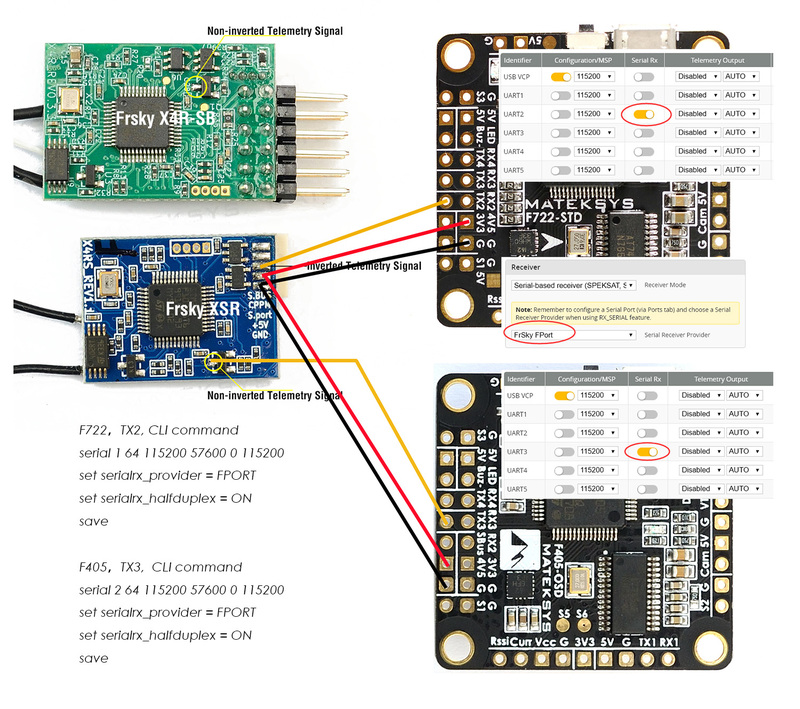 F7 series(F722, F745, F765) support SmartPort signal from receiver telemetry pin directly. F405 & F411 series(STD, CTR, WING, mini) need non-inverted smartport signal. FPort sensors have different ID, Need to delete all sensors from transmitter, then rediscover the sensors.